“Grandchildren are the crown of the aged, and the glory of children is their fathers” (Proverbs 17:6 ESV). Children who benefit from our unconditional love are knit in the core of our hearts and souls. We may have difficulty expressing the emotions in words, but our actions show the extraordinary link. One reason God established the family is to teach us love, sacrifice, and the strength of relationships—done His way. And those grands don’t have to be blood-related to receive our affection. With open arms, and often free from the parenting tasks of discipline and meeting basic needs, we can focus on affection and nurturing children in the way of the Lord. 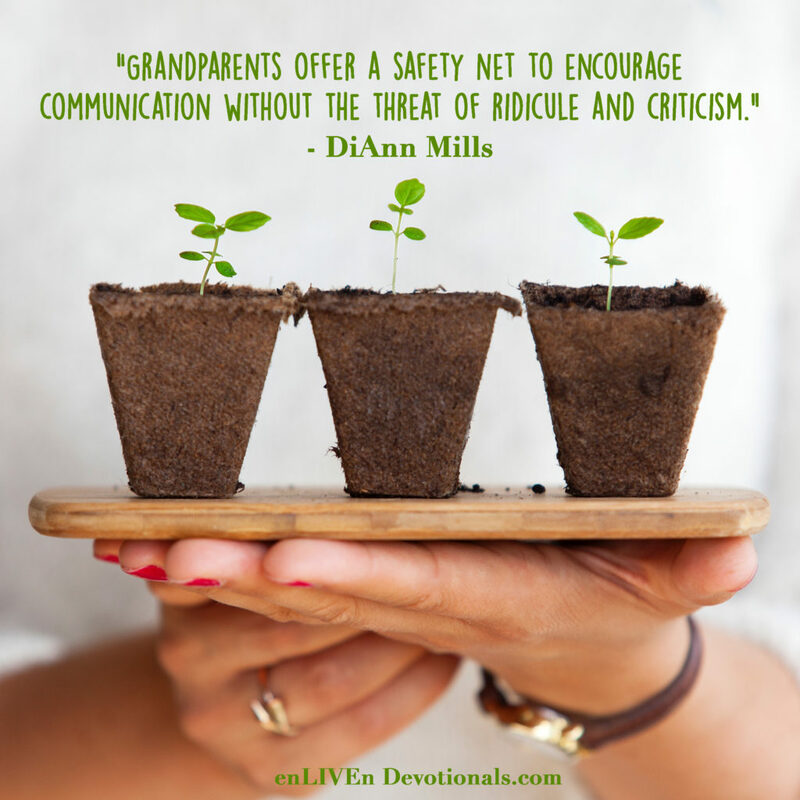 Grandparents offer a safety net to encourage communication without the threat of ridicule and criticism. We’ve journeyed life’s roads and have experienced the ups and downs of maturing, which allows our wisdom to shine through a child’s victories, disappointments, and poor decisions. Four reasons are given why we develop a bond with our grandchildren. The relationship is the reward for putting up with their parents. The relationship is an opportunity to make up for our mistakes as parents. The relationship is an extension of our faith. The relationship is beyond human understanding, a fierce and protective devotion that defies logic. Grandparenting is a beautiful blend of all four, and for certain, the process transforms us into better people, and we hope our grands’ lives are enriched too. We provide love and like a boomerang, the blessings come back. My husband and I serve up Camp MimiPops. We embrace every moment with a goal of authentic Christian living. As grandparents, we believe in the art of play, activities that we do together. These forms of enjoyment range from outdoor fun, card and board games, physical activity, and everything in between. We believe grandparenting is a participation sport. At meal times, we take turns thanking God for our food. We also encourage special mention of prayer and praise requests. Bedtime is another opportunity for prayer—together and solo. We believe every action has a reaction. Positive statements and love-filled moments are praiseworthy. Consequences are met with gentle explanations. We practice open communication and let each child know we are always available. God doesn’t play favorites, and neither do we. When we show a preference of one child over another, we’re sending a message that love is conditional. A child may interpret self-worth directly related to how a grandparent viewed him/her or equate the situation to God’s love. Mealtimes are celebrations whether poolside, a restaurant, or at home. We choose a state or country and use unique food and decorations from the area as a theme. A music playlist is created, a table centerpiece, decorations, food from the state or country, and even a few languages or colloquial phrases to make the meal fun. We vary Sunday morning worship. Sometimes the grandchildren accompany us to church—proud moments for Mimi and Pops, but that’s not why we attend services. Sometimes we incorporate family church at home. This is a designated morning hour in which each child plays a role in worship: the music and songs, the Scripture, the lesson, prayer requests and praise, and sometimes a craft or skit. A grandparent has the luxury of spoiling and sending the children home, but the parents’ wishes are always respected. A grandparent doesn’t interfere with discipline or parents’ preferences. We count it all joy, even when we need a nap and three days to recuperate after the grands go home. “A good man leaves an inheritance to his children’s children…” (Proverbs 13:22 ESV). Heavenly Father, You are the Great Father of all mankind, full of love and wisdom. Our hearts overflow with Your steadfast mercy and grace. Help us to abide in You as we influence the lives of our grandchildren. We long to show our love for Jesus, the reality of faith in action. In Jesus’s precious and holy name, Amen. Grandparenting is a gift and a privilege. Embrace the time and effort to show they are special. Include children in your mission to serve Him. What can you do today to influence and serve the younger generation? DiAnn Mills is a bestselling author who believes her readers should expect an adventure. She is a storyteller and creates action-packed, suspense-filled novels to thrill readers. Her titles have appeared on the CBA and ECPA bestseller lists; won two Christy Awards; and been finalists for the RITA, Daphne Du Maurier, Inspirational Readers’ Choice, and Carol award contests. DiAnn is a founding board member of the American Christian Fiction Writers, a member of Advanced Writers and Speakers Association, Mystery Writers of America, Sisters in Crime, and International Thriller Writers. 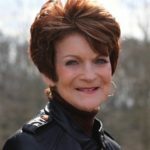 She is co-director of The Blue Ridge Mountain Christian Writers Conference and The Mountainside Marketing Conference with social media specialist Edie Melson where she continues her passion of helping other writers be successful. She speaks to various groups and teaches writing workshops around the country. 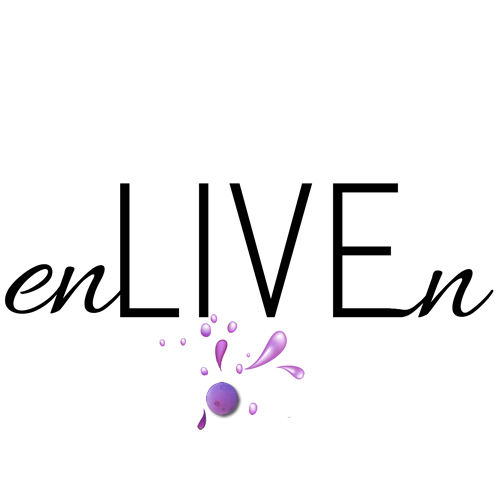 You can find DiAnn at her Blog, Facebook, Twitter and Goodreads.